Geshe Lama Konchog Stupa at Kopan Monastery, Nepal, June 2011. Photo by Ven. Roger Kunsang. Without a doubt, the country of Nepal has been integral to the development and flourishing of FPMT. Lama Zopa Rinpoche, FPMT’s spiritual director, was born in Thami in the Solu Khumbu district of Nepal, known for being the home of Mount Everest. In 1969, FPMT founders Lama Yeshe and Lama Zopa Rinpoche came to live on Kopan Hill near Nepal’s Boudhanath Stupa. Within a few years, the Lamas had founded a monastery there and had begun to educate young boys from Nepal’s Buddhist areas. At the same time, Kopan’s November Course was drawing hundreds of Westerners onto the Buddhist path, inspiring invitations to teach around the globe for the Lamas and motivating students to open Dharma centers in their home countries. Today, FPMT centers, projects and services number around 160 in 37 countries, but Nepal remains a source of profound inspiration and instruction for the organization as well as a place of vibrant Dharma practice. 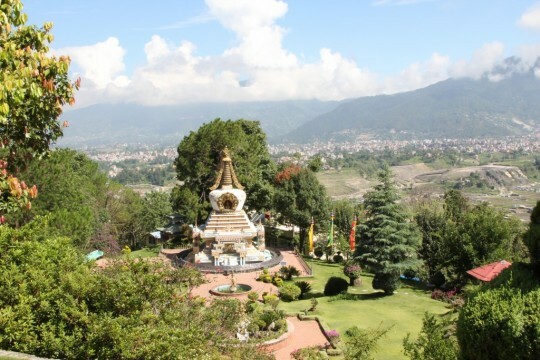 In this issue of Mandala, we’ll take a look at the centers and projects in Nepal connected to FPMT. Please be sure to check out our online contents for this issues, which includes for more photos, stories and interviews from Nepal.